After two exciting, emotional wins, the Davis Aggies and Lamorinda Immortals squared off in the Black Tie Bash 14-U Majors championship, on Sunday, Sept. 14, at Manteca’s Big League Dreams. 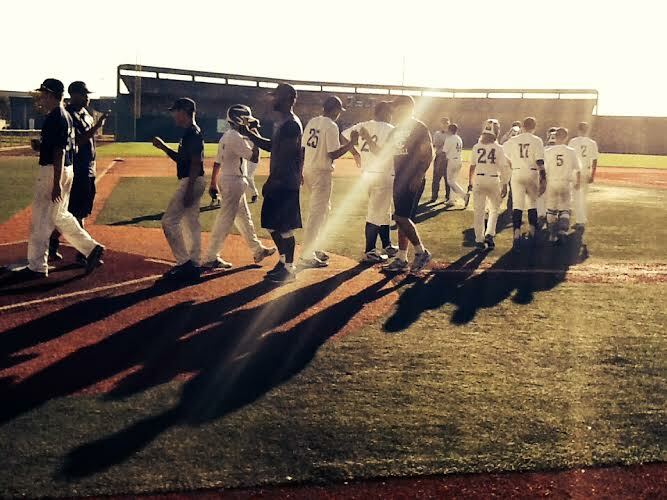 The Aggies offense exploded as they defeated the Immortals 13-4 in a five-inning game. “We went back to the drawing board this week, and really put it all together this weekend,” Aggies head coach Ryan Royster said. In the top of the first inning, the Aggies struck first of Lamorinda pitcher, Mathias Haas. Brandon Chalk hit a sacrifice fly to right field to score Tyler Ransom, who led the game off with a walk and then stole second base. A Deavin Reynolds hit by pitch, brought in the second run of the inning for Davis. The comeback kids of Lamorinda were back at it again in the bottom of the second inning. Tino Bethancourt, the hero of Lamorinda’s semifinal win, started the rally with a sacrifice fly to left field, plating Kyren Paris, who led off with a walk and proceeded to steal second and third base. Haas helped himself out with a single to centerfield, scoring Nico Regino and Gavin Napier, giving the Immortals a 3-2 lead. Davis scored twice in the fourth inning, taking the lead back, 4-3. In the top of the fifth, the Aggies offense broke open, scoring nine runs. After scoring on a passed ball and two fielder’s choices, the Aggies went on a wild two-out rally. Ransom knocked a double to right field, to bring in Dominic Moreno to start the rally. Shorts kept up his hitting ways with a hard chopper to centerfield, to score both Cooper Hjerpe and Ransom, giving the Aggies double-digit runs. Ryan Holgate and Carter Benbrook crushed back-to-back doubles to the centerfield wall, giving the Aggies a 12-3 lead. “Ryan showed his power with some big-time hits all weekend and did it again in the championship,” Royster said. The final run of the day for Davis came from a Jack Painter single to centerfield, with Benbrook crossing home plate. Lamorinda plated one final run in the bottom of the fifth inning on a Brock Rudy single to right field, knocking in Josh Pakola, and bringing the final score to 13-4 in favor of the Davis Aggies.